KJUS has been designing and manufacturing top-of-the line outerwear for 18 years. And, not only do they craft the most high-performance technical garments for skiing, but for people who are always on the move. Here is how KJUS got their start in the ski world and made their name heard on the mountain. Almost two decades ago Lasse Kjus and Didi Serena, one an Olympic Ski champion from Norway and the other an entrepreneur from Switzerland, were discussing the basic principles of performance golf apparel; mobility and comfort. It was then they built the fundamentals of KJUS, and decided to fill the gap with skiwear that allowed you to be just as comfortable and maneuverable out on the slopes as you are on the green. Since 2000, KJUS has been driven by their efforts to bring innovative sportswear to the industry. Today, not only are they are still brining the most technically advanced ski outerwear to the market but they are also designing intelligent golf wear and premium collections for active people. Since the beginning KJUS has held themselves to very high standards, and it’s no different when it comes to the factories, suppliers and manufactures they use to produce their product. In 2012 KJUS joined the Fair Wear Foundation, an independent, non-profit organization that is dedicated to making working conditions better in the textile industry. KJUS has also proved their commitment to investing in the future, offering underprivileged children access to sport and charities they support that help highlight this commitment. Their membership with Helfetia helps introduce children and teens to skiing and winter sports. KJUS has come out with an entirely new line for the 2018/19 ski season, and it’s definitely something to be excited about. Freelite: Engineered Knitwear for Ultimate Freedom of Movement – let’s take a look at what makes this revolutionary outerwear so great. Temperature Regulation: KJUS’s Freelight collection will keep you regulated lap after lap. Engineered knitwear offers warmth and breathability with body-zoned insulation built-in to the fabric for warmth where it counts, so you can stay on the slopes longer. Maneuverability: The world’s first fully knitted ski wear offers complete mobility while you’re out on the mountain. Ultra-stretch knitwear offers double the stretch properties that you get from normal, woven skiwear. All-Weather Protection: To ensure protection from the elements, KJUS paired the Freelite collection with a KJUS FAST 20 (20k waterproof, 20k breathability) membrane and a DWR finish making it 100% waterproof and highly breathable. Unmatched Comfort: Freelites seamless construction and ultra-quiet shell shapes itself to your body, acting like a second skin so you stay comfortable with every turn. KJUS works to continue to bring high-performance outerwear to the slopes. 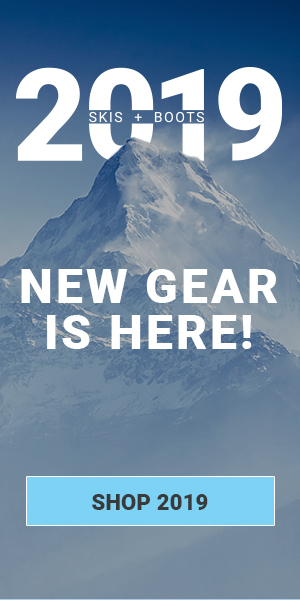 To take a look at everything KJUS has to offer visit us at Skis.com. And, as always don’t forget to follow us on facebook and subscribe to our blog below.